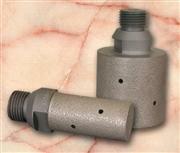 PCD grooving tools also be called Diamond grooving tools, Slotting cutter,Grooving tool,natural diamond tools ect. More Super Hard’s PCD tool Angle has 35 °, 40 °, 30 °, 45 °, 50 °, 55 °, 60 °, 65 °, 70 ° and 75 °, 80 °, 90 ° ect. 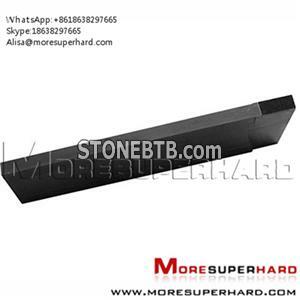 1.The special carbide substrate and high wear resistance of PCD material, effectively overcome easily cutting knife in the processing. 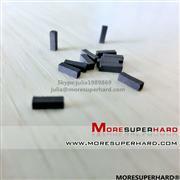 2.PCD grooving tools with high precision, good wear resistance. 3.The PCD ring grooving tools' precision can reach 3 -4 μm . 4.Piston is made of aluminum alloy containing more than 17% silicon , has strong wear resistance that needs more high wear resistant PCD tools to process. 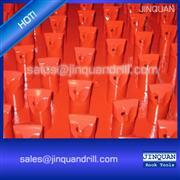 4.The service Life of the welding PCD grooving tools is 10 -15 times that of carbide tools.